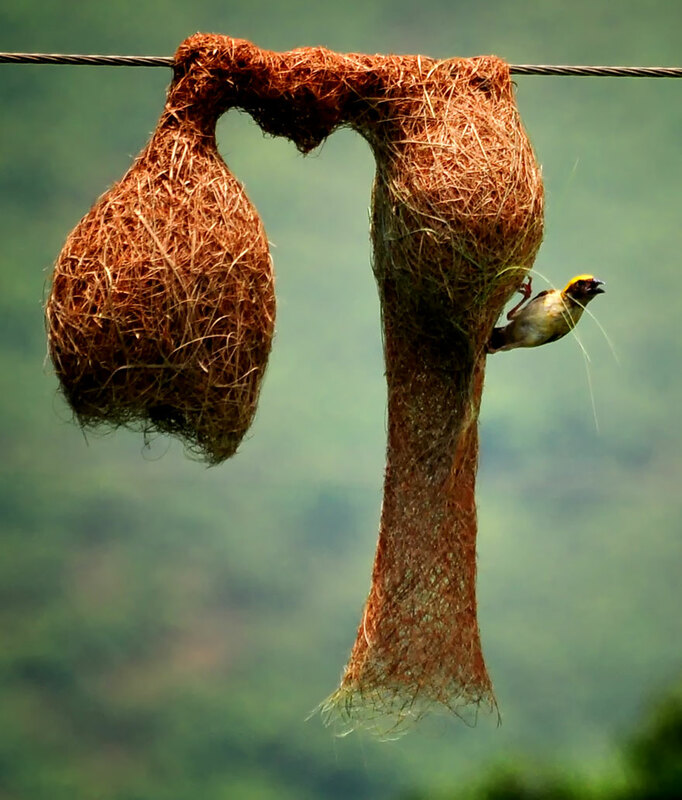 Home building is probably the closest that many animals will come to tool use, in the sense that we think of it. 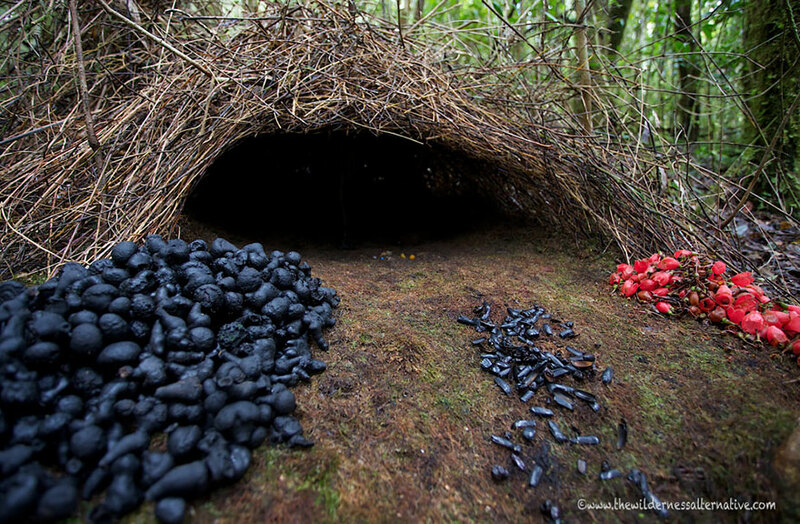 It seems that the jury is still out on whether or not nest (or dam, in the beaver’s case) building can be considered to be tool use – these animals do carry sticks, twigs and leaves for intentional future use, but they don’t “use” them on other things the way a chimpanzee uses a stick to hunt termites or how we use keyboards to write articles about animals. 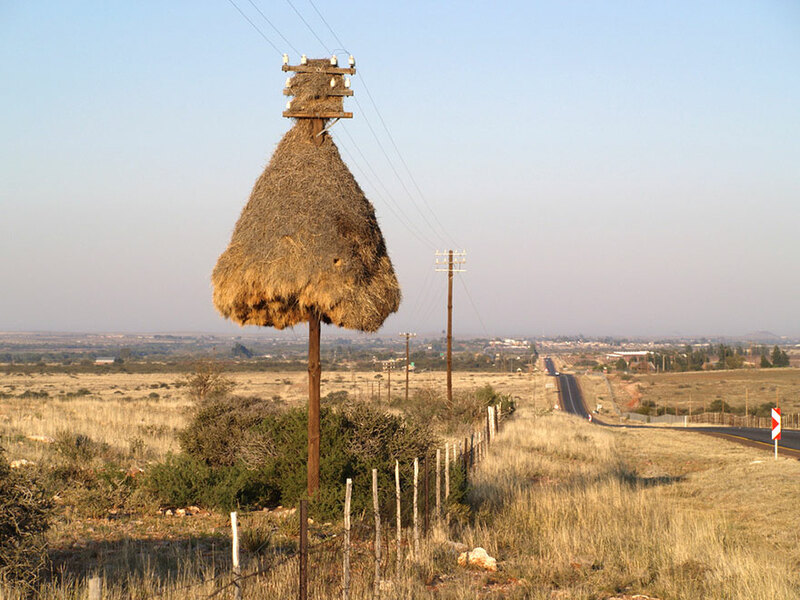 The sociable weaver, native to South Africa, Namibia and Botswana, weaves huge communal nests that can hosts hundreds of birds across multiple generations. 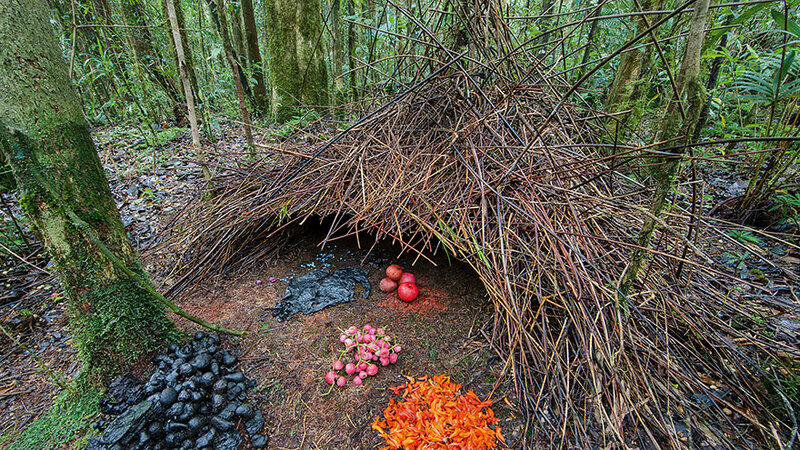 These nests, woven from sticks and grass, are permanent. 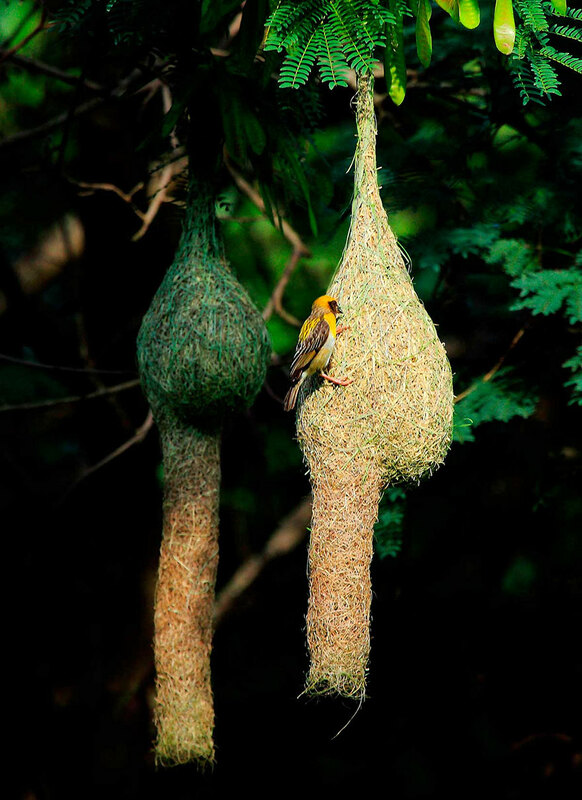 The deeper inner chambers maintain a higher temperature at night, allowing the birds to stay warm. 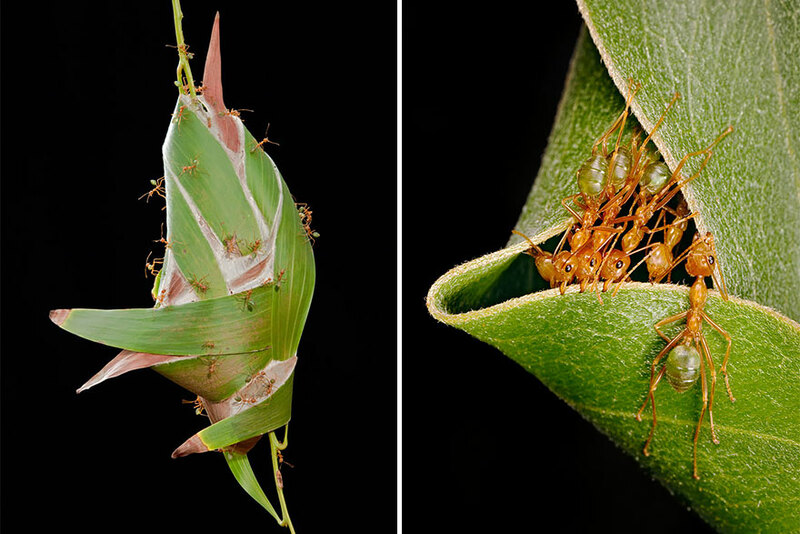 Weaver ants, which live in Central Africa and South-East Asia, pull together live leaves and use larval silk to glue them together. 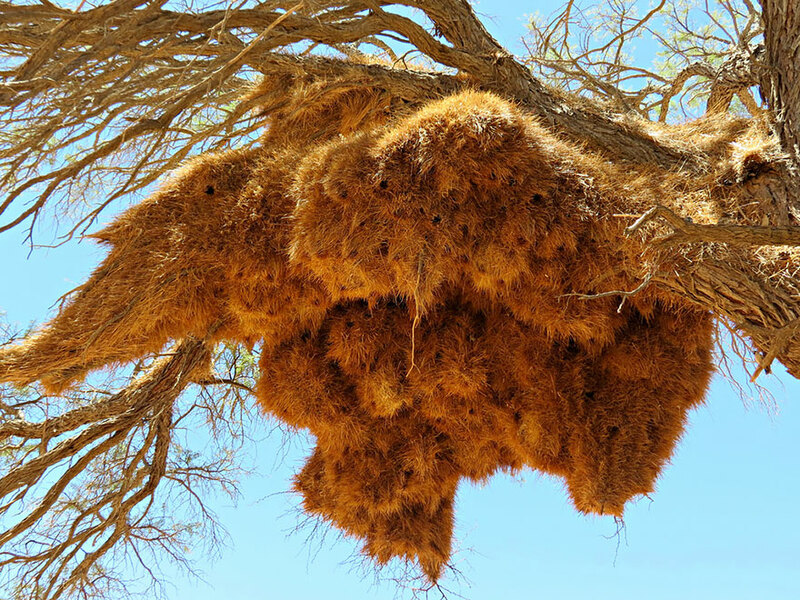 These nests can vary in size from a single leave to bunches of glued leaves up to half a meter in length. 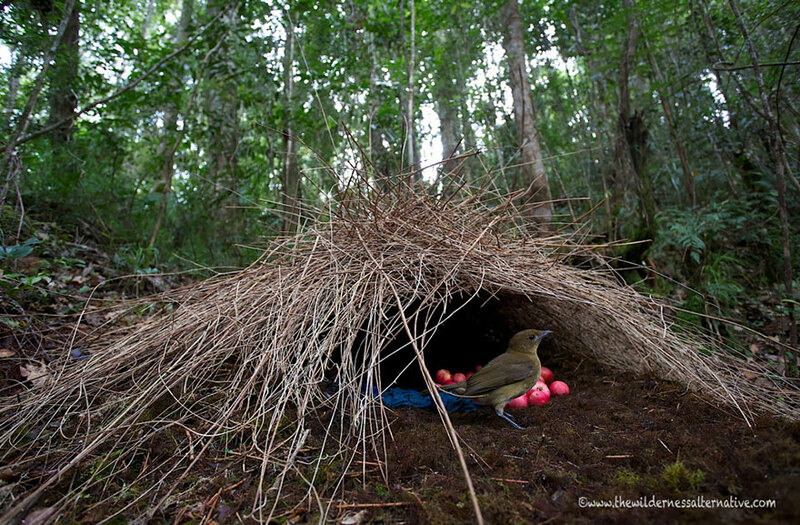 The male Vogelkop bowerbird creates bowers, or small huts, out of grass and sticks to attract females to mate with. 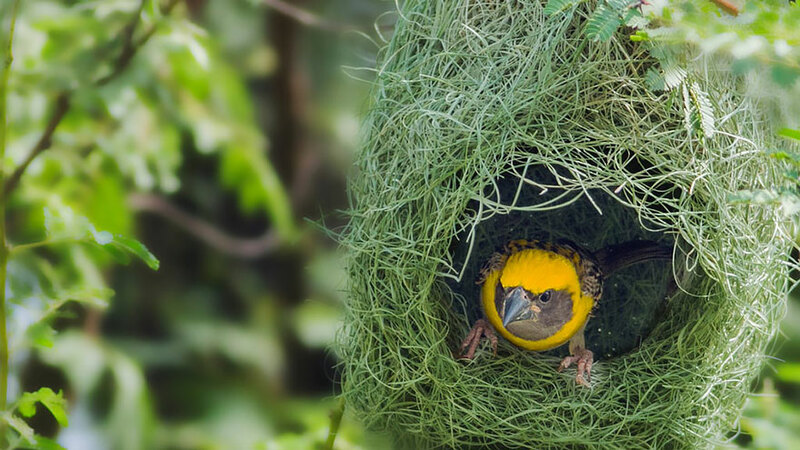 The consummate interior designers of the animal world, these birds arrange berries, beetles, flowers and other colorful and eye-catching ornaments into artistic arrangements to attract their mates. 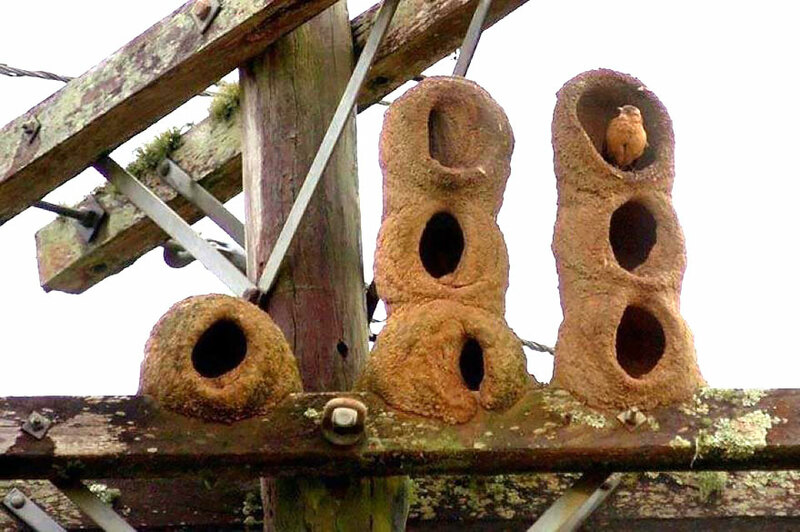 Ironically, the females do not actually use these bowers to raise their young. 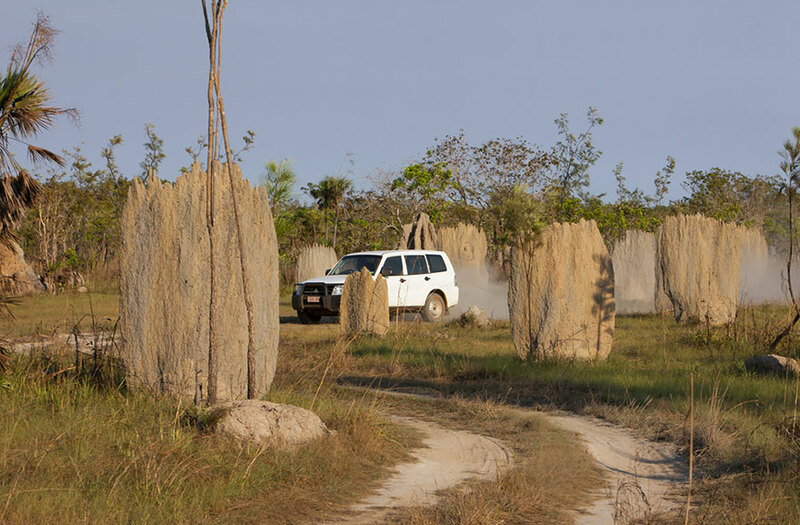 The compass termite builds large wedge-shaped mounds for nests. 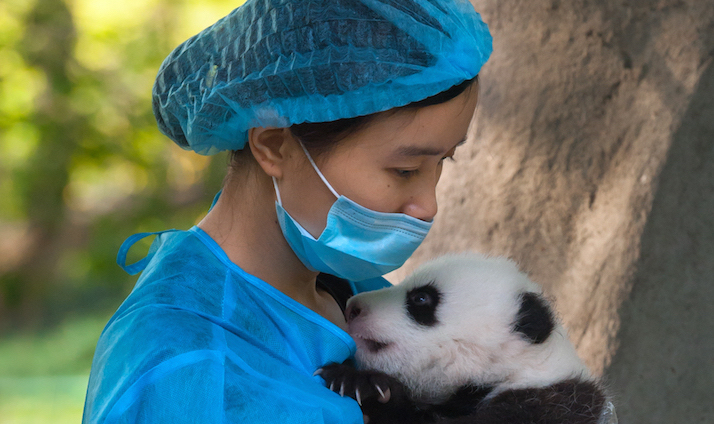 These wedges are roughly oriented in a north-south orientation, which gives them their name. 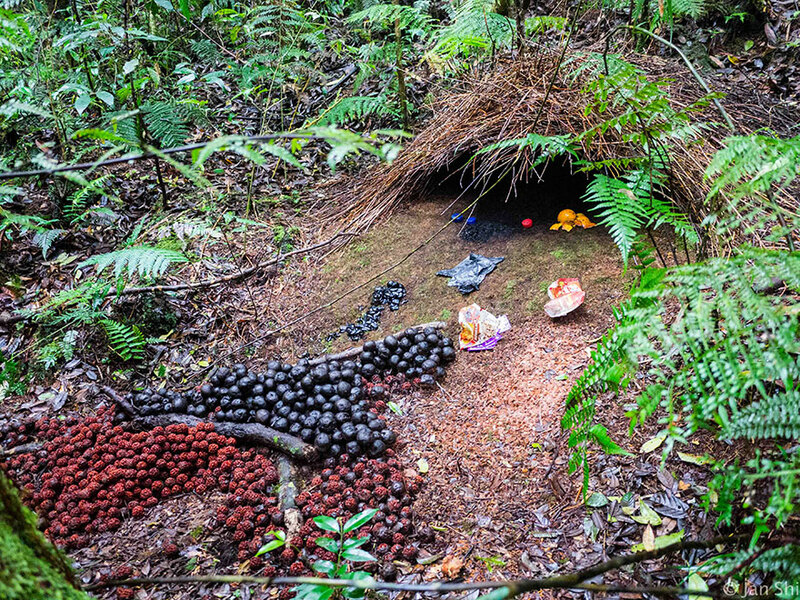 It is believed that this shape helps their mounds stay thermoregulated. 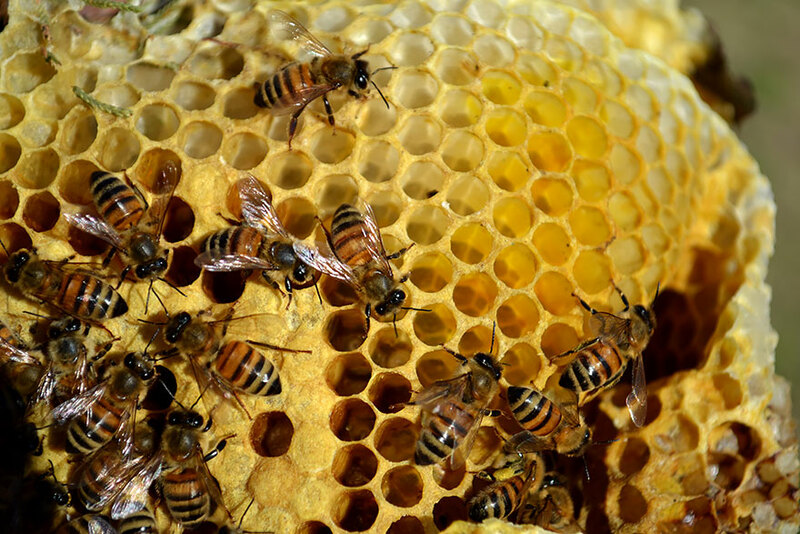 Honeybees’ entire lives revolve around their nests. 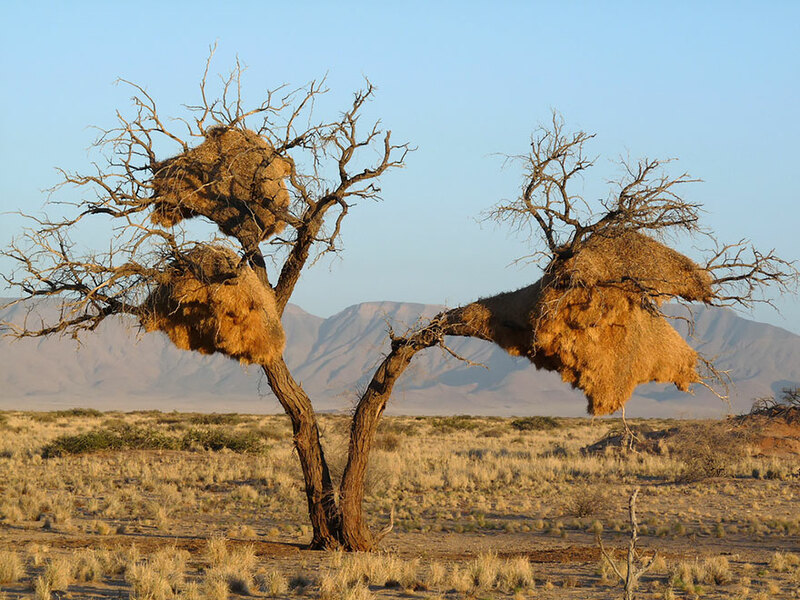 It is in these nests, which they construct out of secreted wax, that they process their food and raise their young. 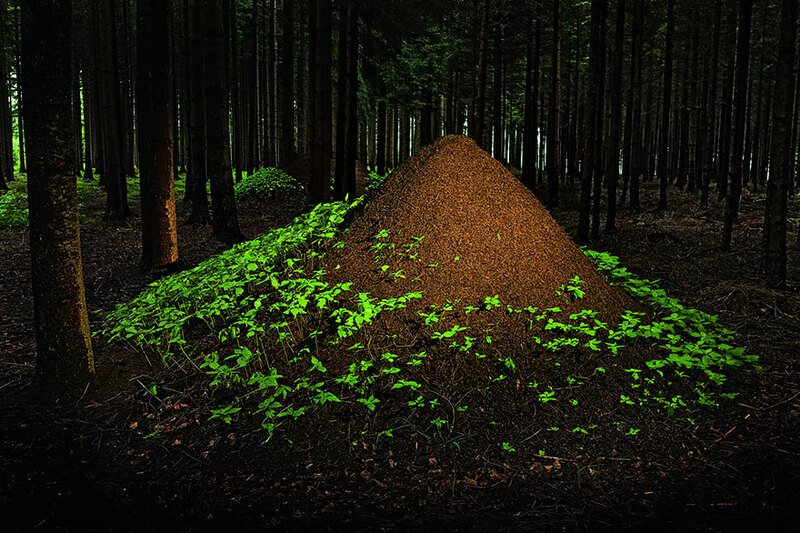 European red wood ants build large mounds on the forest floor to house their nests. 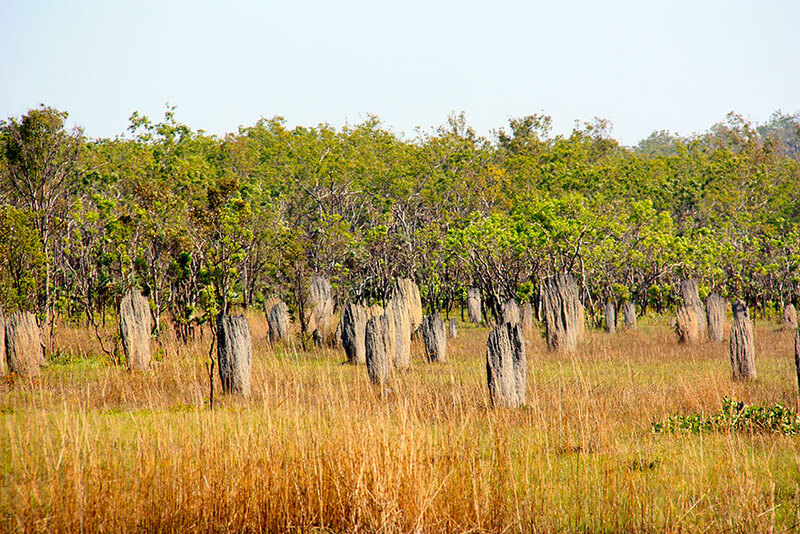 Several of these mounds can be linked as mother-daughter mounds for the ants to switch between in the event of a catastrophic event at one o the mounds. 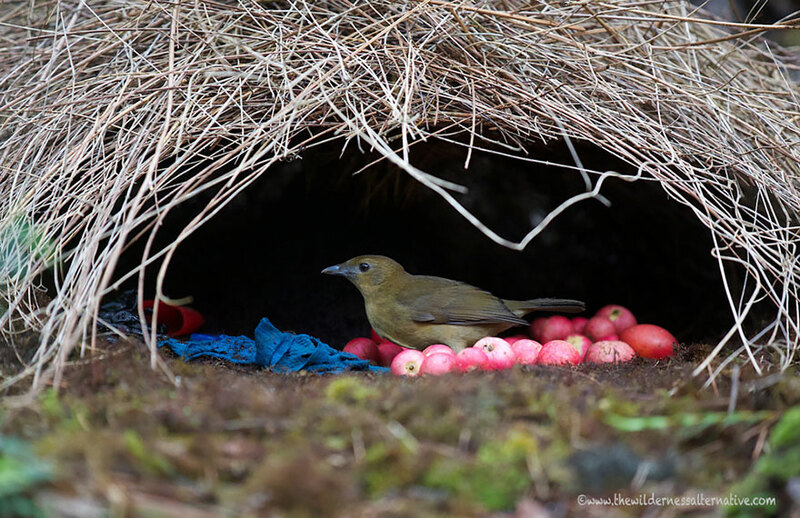 The red ovenbird builds its nest out of clay and mud. 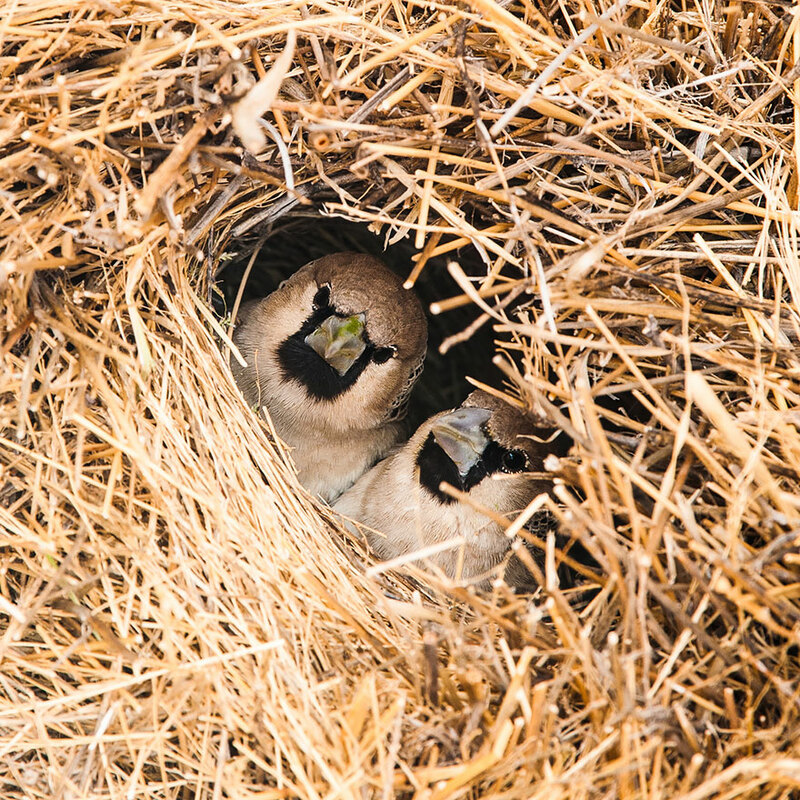 These strong nests help prevent predation and, once abandoned, can provide other birds with a relatively secure place to live. 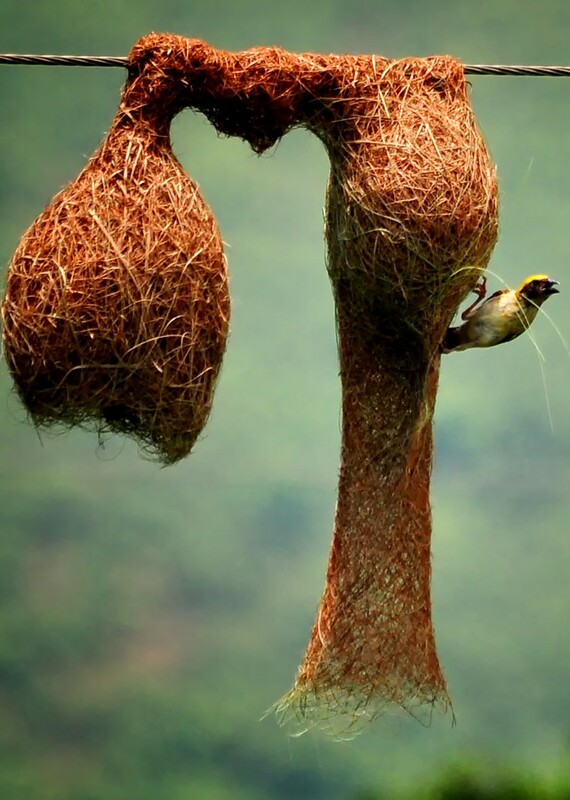 Baya weavers often build their elegant hanging woven nests in thorny palm and acacia trees or above bodies of water, where predators may have difficulty reaching them. 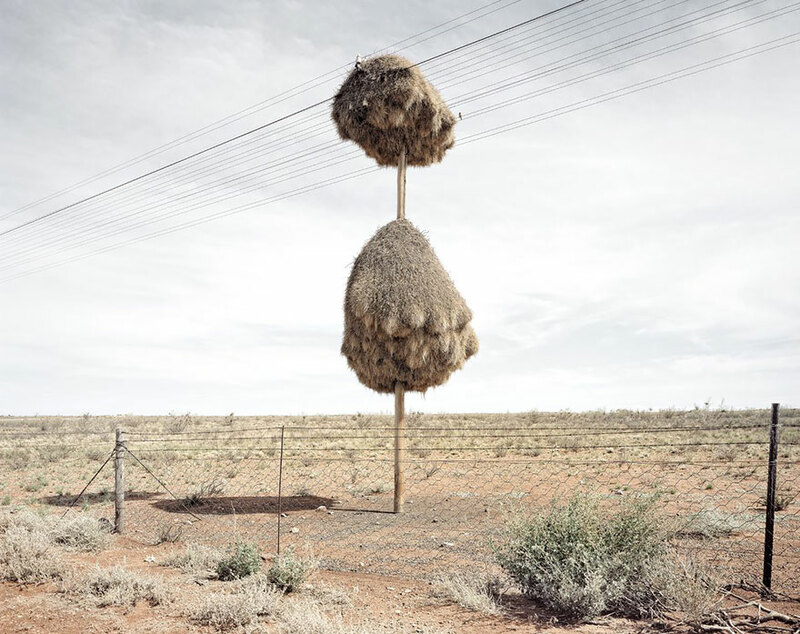 The nests can often be found in colonies, although isolated ones do exist as well. 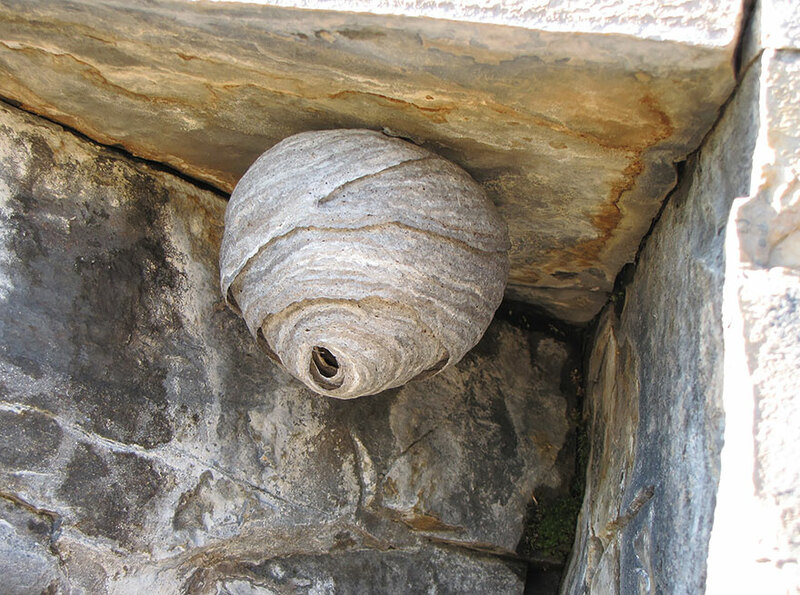 The majority of wasps actually do not actually build nests, preferring solitary or even parasitic arrangements. 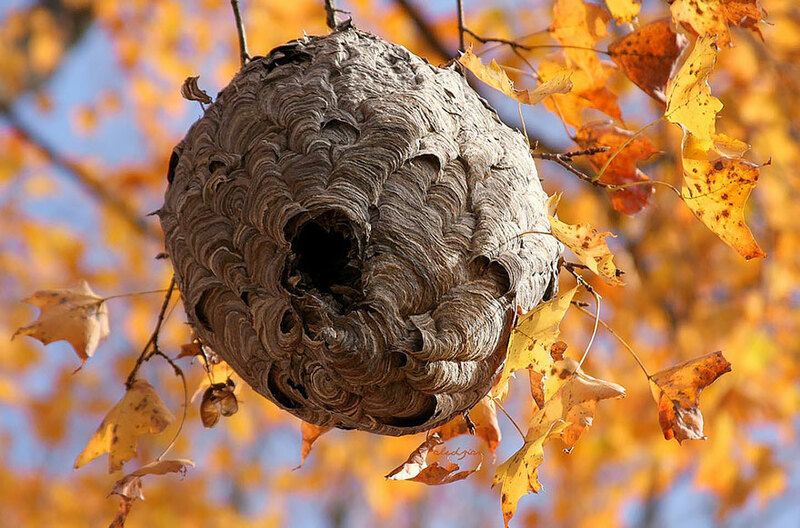 Social wasps, on the other hand, build elegant paper nests out of plant pulp, spit, resin and other materials. 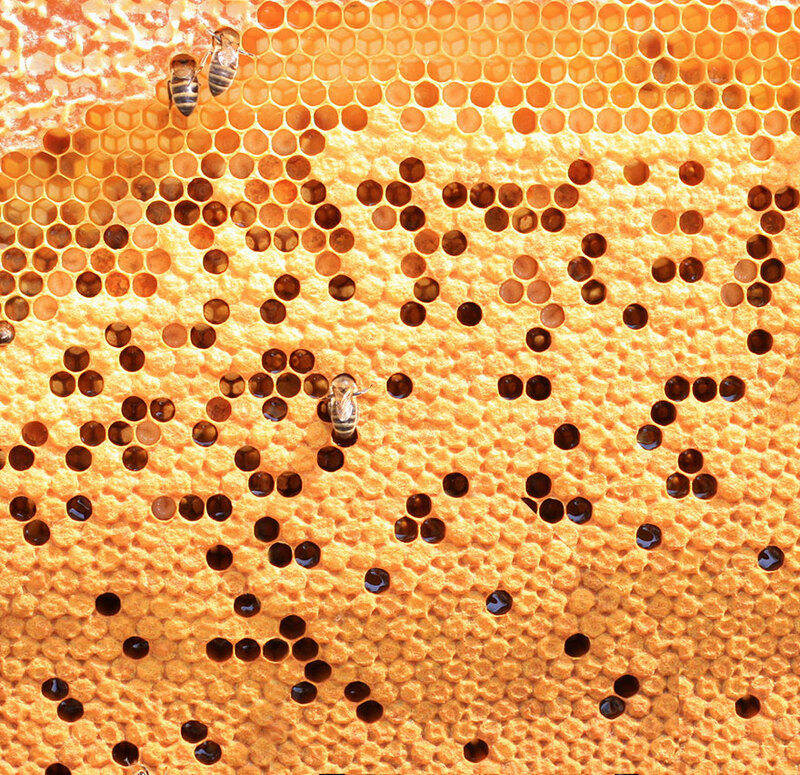 These consist of internal paper honeycomb tiers (similar to a honey bee’s comb in appearance but not material) surrounded by a paper wrapping. 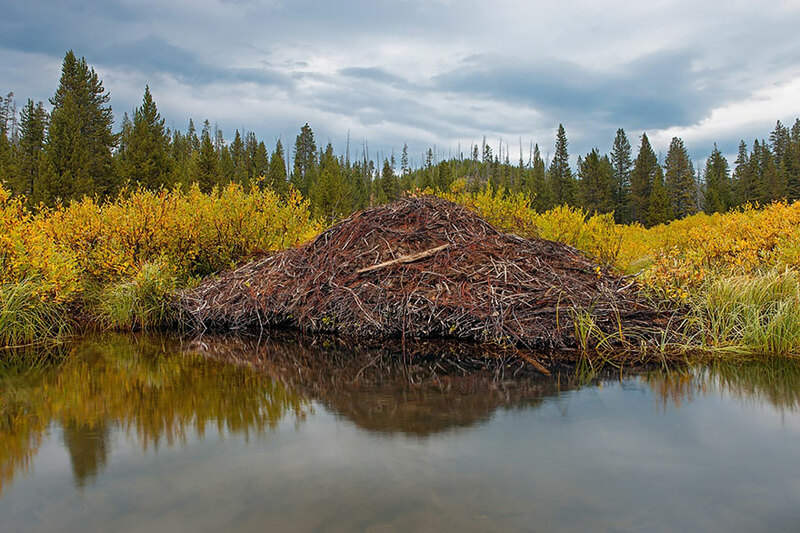 Beavers build damn to flood woodland areas to a certain depth. 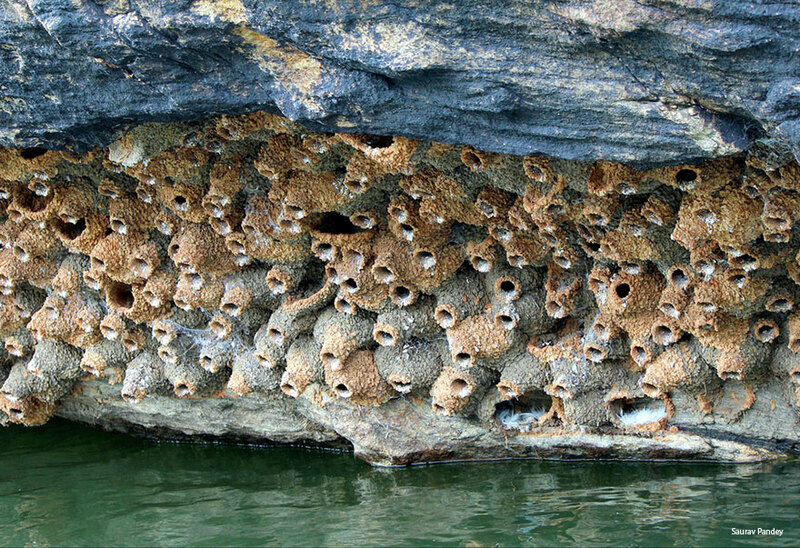 They then build submerged entrances that allow them to avoid predators and to hunt for food in the winter. 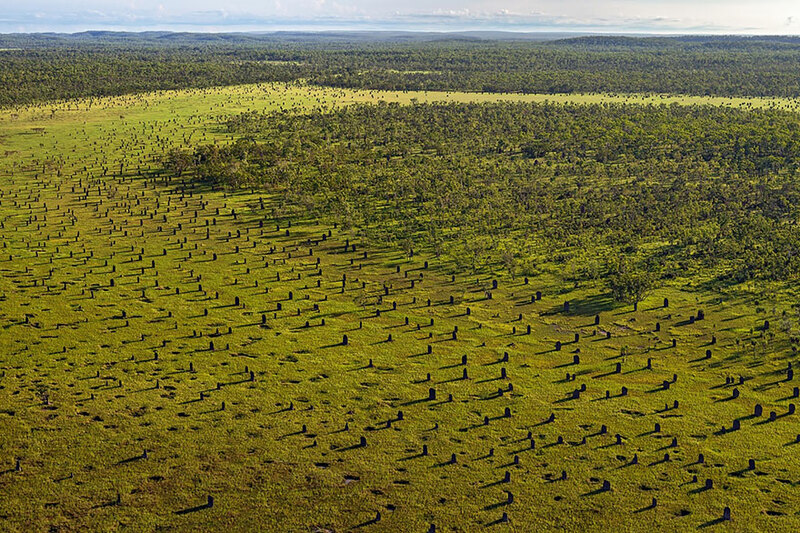 Their dams can be truly massive – the largest known beaver damn, in Canada’s Wood Buffalo National Park, is roughly 850m, or 2790 ft, in length. 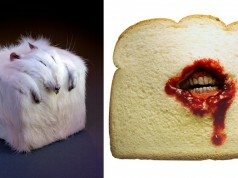 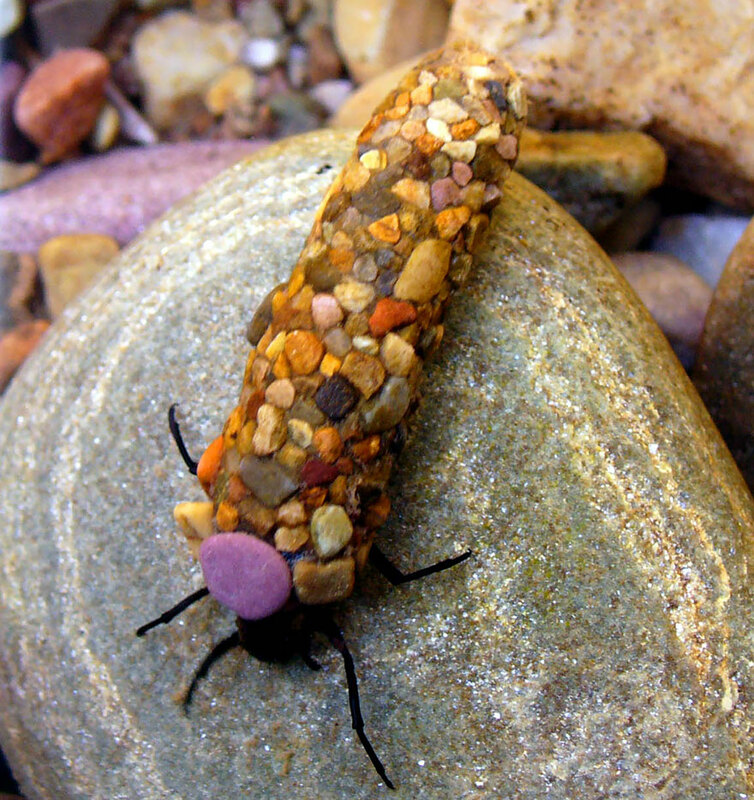 When the water is deep enough, they may sometimes live in burrows instead. 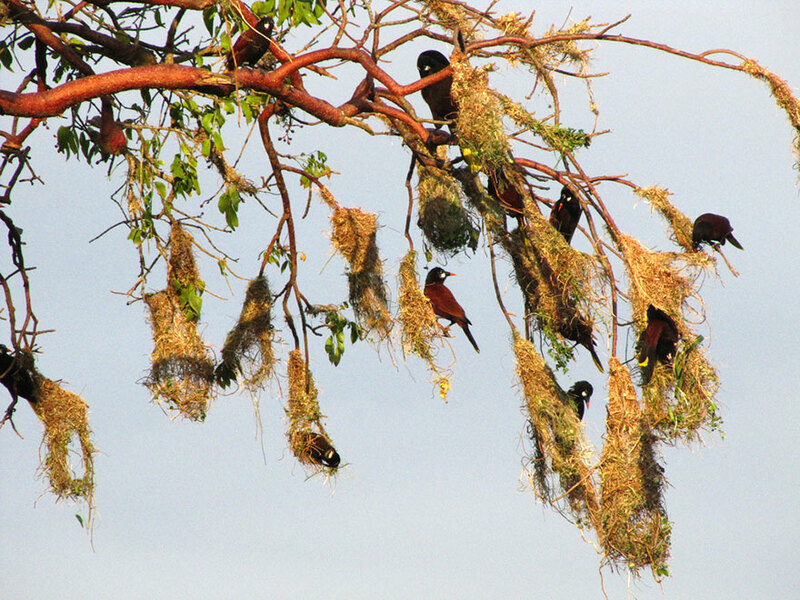 The Montezuma oropendola weaves its nests out of small vines and grass. 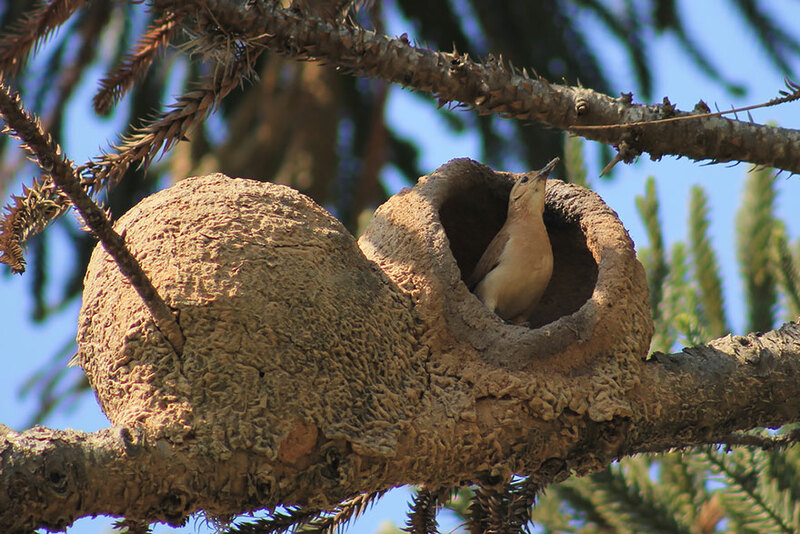 They usually live in colonies of roughly 30 birds, which include a dominant male that mates with the females. 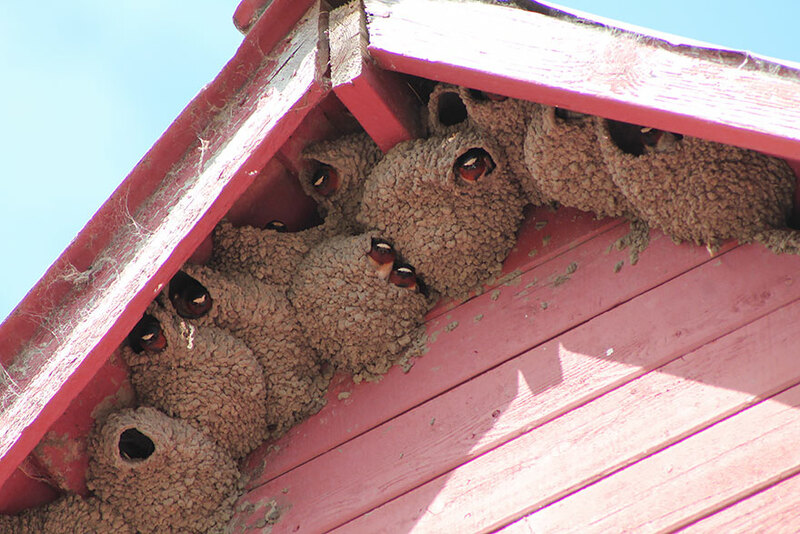 Swallows build nests out of various materials, and some don’t even build any at all, choosing instead to nest in found or abandoned cavities. 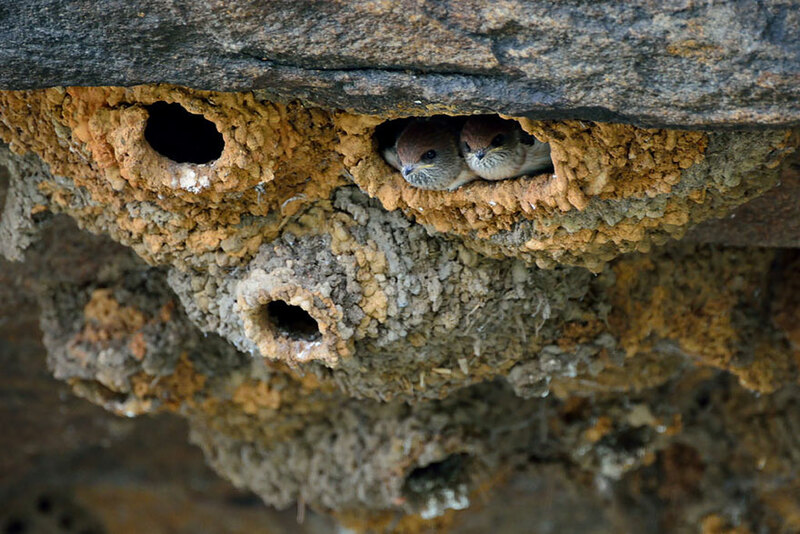 Certain species of swallow, however, create their nests primarily out of their own saliva. 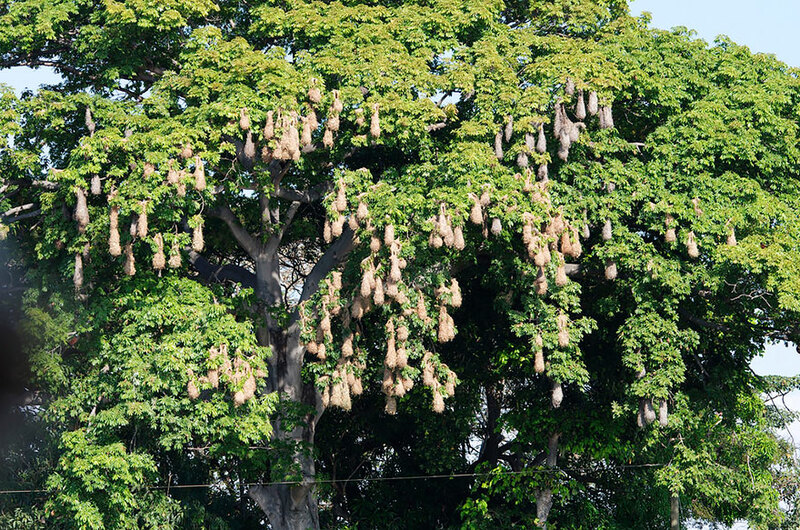 These nests are edible, and are considered a delicacy by some. 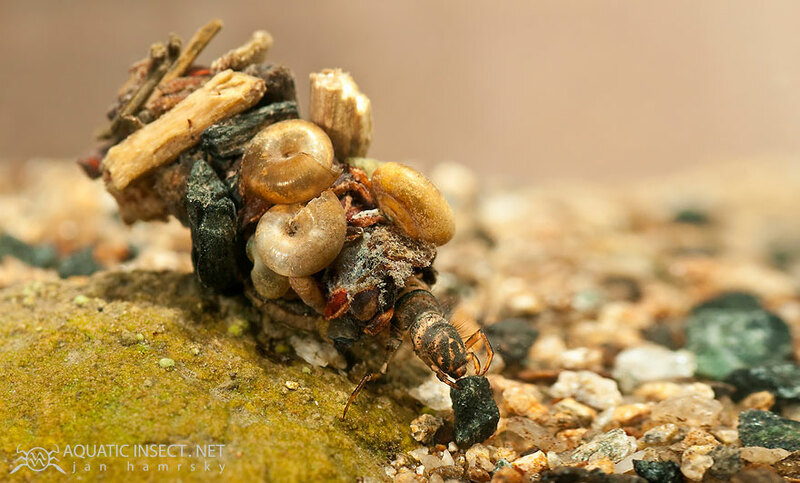 When it’s time for the caddisfly to pupate, it spins a tough cocoon out of pebbles, sand, shells, and other lake- and river-bed detritus. 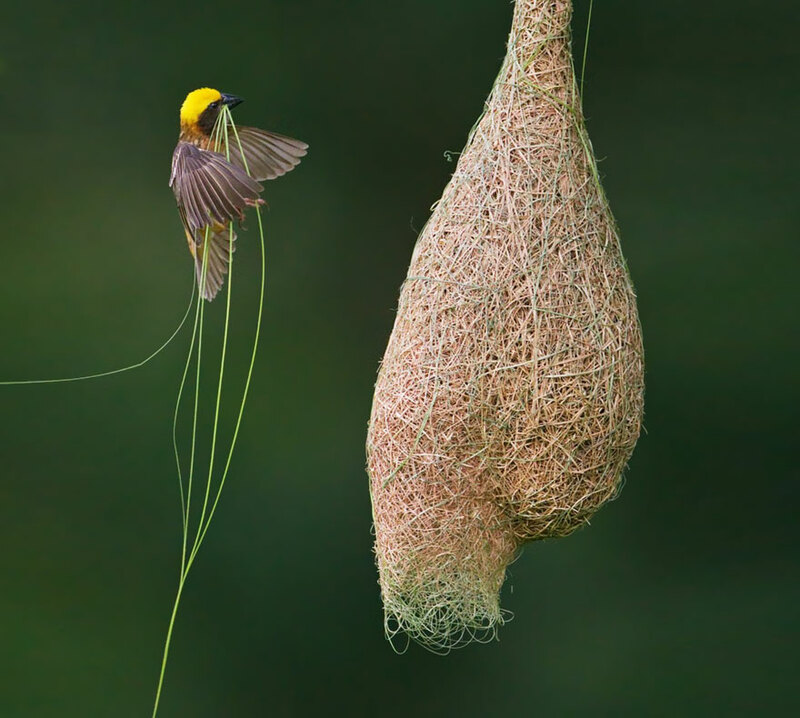 It weaves these elements together with strands of its own silk to safely grow to adulthood.